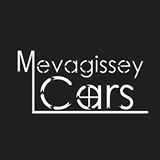 The only local family run taxi service providing a friendly and reliable service covering Mevagissey and The Roseland Peninsula. Including The Roseland, Gorran Haven, Porthlunney Cove, Caerhayes, Portloe, Porthscatho, Port Holland, St Mawes, St Anthony Head, Falmouth, Truro, Fowey, St Austell, The Eden Project, The Lost Gardens of Heligan, Newquay, Padstow, Port Issac and Exeter, Bristol and Newquay Airports. Just call us to book - 07513 774529. WALKING THE SOUTH WEST COASTAL PATH ?